I tend to agree with some of the comments of others regarding the period of time that our cars came to be. In general the increasing insurance costs and gas prices put a break on the general publics desire for muscle cars. Our generation of mustang ended that lust for power and performance over econonmy. I think the Ralph Nader's of america doomed our cars. True, they are not the most recognized and often the least present at car shows. I do beleive that each body style has its moment in the sun and that we are heading for the sunrise on the 71-73 mustangs. Either way I think our cars are the best looking. I fell in love with this bodystyle before I could drive and will forever like this body style over all of the other mustangs I have or will have in the future. The main reason... IGNORANCE! Like has been said before if the haters would drive one of "our" Mustangs they would love it. They are the same as the nothing but chevy droolers. If it doesn't fit their box they feel threatened on some level. DangStang;45285 Wrote: The HP drop in these years was considerable. With the gas crisis looming over everyones heads, Ford was trying to make an economy, muscle car. Then in 1974 they downsized to the Mustang 2 to meet consumer demand of economical cars. They went downhill for quite a few years after that. they made another Mustang with a V8 for ~22 years after '73. Do what it takes to keep it original. That lil Cobra II in the video is bad to the bone! I'd be proud to drive it. While not my favorite I still like the II's a lot. Dad bought a new one in 74 and I spent my traveling childhood for the next 11 years in that car's back seat. In reality that was probablythe first car I really drove when I was 12. I definitely learned to drive a stick in that car. 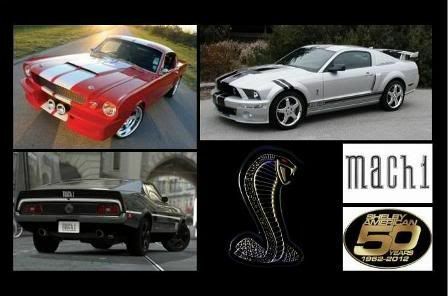 If I didn't have so many Mach 1s I wouldn't mind having one. I will own another Mustang II. I would like to find one to drive to and from work. I had a rant about this a little while back in another of Detector's posts. I think it's asinine that people don't like "our" cars just because they don't look like the 64.50-68's. What, do "they" want another Beetle, a car that didn't change for something like 40 years? I like the character, the look, the stance, and the fact that ours are pretty rare. compare the front nose of a 71-73 to a 69 or 70 Gt500 and you see the similarities. I really agree that the public likes our cars. I get alot of compliments on mine, and mine is pretty jacked up at the moment. The purists might appreciate the older ones more, but i like our unique ones more. Plus ive seen way more 64-70 mustangs on the road compared to 71-73's which is cool! TnFastback I love amc javelins, I fell in love with their body style since it has similarities to the fastback.